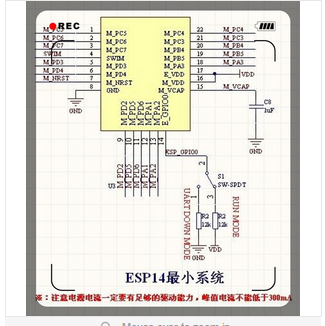 When I was ordering new ESP8266 modules, I ordered ESP8266 ESP-14 modules in a rush. When I received them, I saw the port layout was very different. After some research I found out that the ESP8266 ESP-14 is a STMicro STM8S003F3P6 combined with a Expressif ESP8266-EX WiSoC. At page 25 of the STM8S003F3P6 manual you can see that it designates port M_PD6 as RX and M_PD5 as TX. 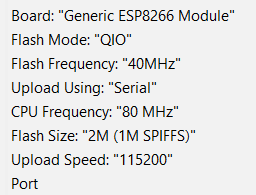 I also noticed that the ESP was controlled via the Serial interface and the ESP RX and TX ports have to be connected vise versa for that. 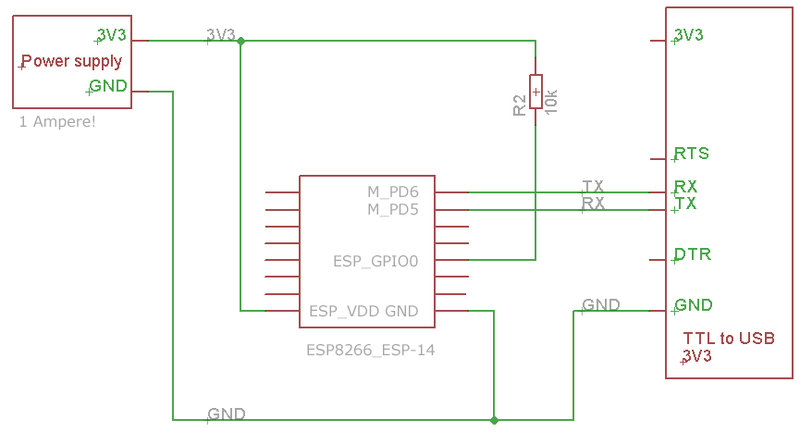 To flash the ESP-14 just use M_PD5 as RX, M_PD6 as TX, connect ESP_GPIO0 with a 10K resistor to 3.3v, connect ESP_VDD to 3.3v and connect GND. In my experience you have to create a soldered programmer with an external power supply that delivers 1A. After flashing the ESP8266 ESP-14, disconnect the 3.3v from ESP_GPIO0 and reboot the module, while remain the Serial Connection connected to your computer. You will see the Tick-Tack now. your power supply, does it really deliver enough current? your wiring, are the cables tightly connected? I am using a KPN 100Mb/100Mb fiber connection at home. I am very happy with it, except for the KPN Experia Box v8. I bought a Asus RT-AC66U Gigabit router to replace it. When I bought it, a year ago, it was in the top of all Gigabit router charts. First I tried to replace the KPN Experia Box by using the pre installed firmware on the Asus RT-AC66U. That didn’t work. Then I tried to use DD-WRT, and after a lot of tweaking, it worked almost. My phone and TV worked OK, but my Internet connection didn’t. After rebooting, I lost a lot of settings. Then I found the solution. I installed Tomato Version 1.28 by shibby, Tomato Firmware 1.28.0000 MIPSR2-121 K26AC USB AIO-64K to be exact. You can download it at Tomato.Groove.pl/download. This version does everything what is needed, and it is a lot faster than all other firmwares available (faster in saving and activating settings). Please note: Your KPN Experia Box will still be needed when you are using an analog phone line! This is the install instruction you can follow. Connect your PC directly to one of the LAN ports of the Asus device. 1. First install the firmware. I assume that you can find out this yourself. 2. 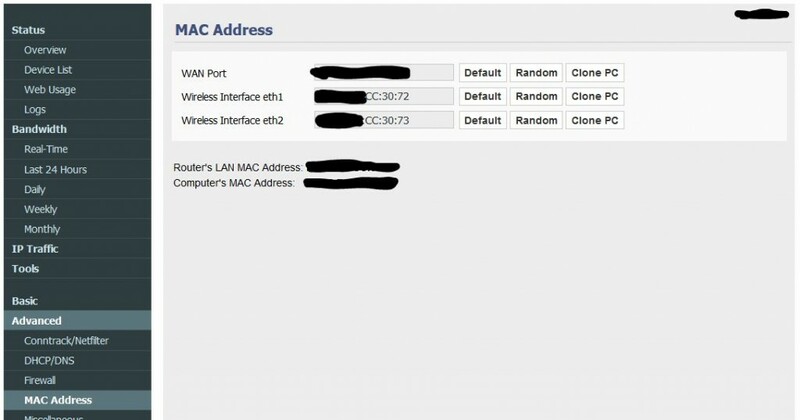 Write down the MAC address from your KPN router. You will need this here. 7. 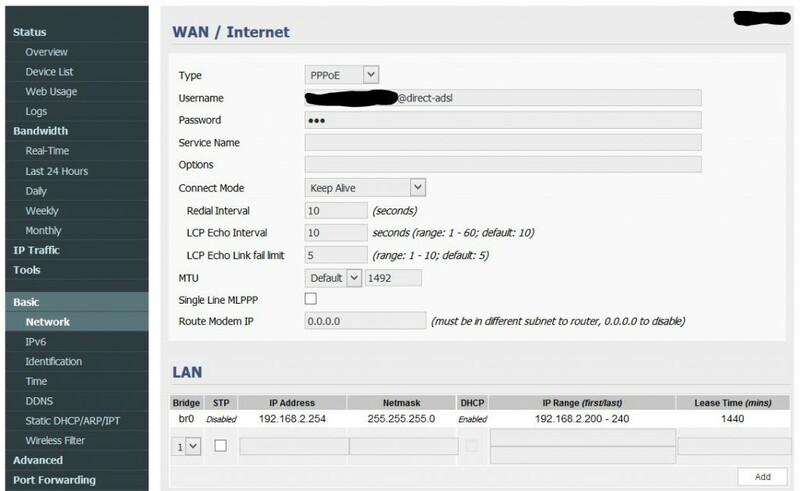 Setup your VLAN Settings, using the exact settings in the picture below, and click “Save” after adding the settings. 8. Now you can shutdown your router, using the menu. On port 1 you can add an extra TV device if needed. 10. Now turn on your router and enjoy! You can change all other settings now, like Wireless, port forwards etc!